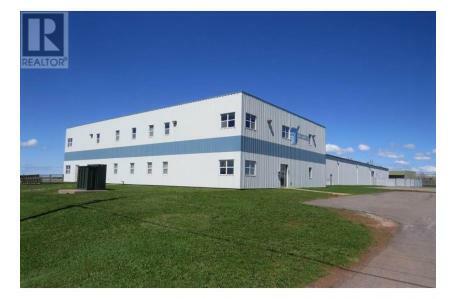 Over 55,000 sq ft including a finished second floor which brings it to over 60,000 sq ft. This is a huge bargain compared to similar buildings in Atlantic Canada. The equipment in the building is not included. Property is open to offers. Close to runways, highways, and great infrastructure at Slemon Park. Nearby businesses include Curran & Briggs, A1 Filters, New Leaf Essentials, Old Dutch Foods, JVI, Academy of Learning, and the Summerside Airport.